Collins Booksellers - Convection Heat Transfer by Adrian Bejan, 9781118330081. Buy this book online. A revised edition of the industry classic, Convection Heat Transfer, Fourth Edition, chronicles how the field of heat transfer has grown and prospered over the last two decades. This new edition is more accessible, while not sacrificing its thorough treatment of the most up-to-date information on current research and applications in the field. How convective configurations have been evolving, from the flat plates, smooth pipes, and single-dimension fins of the earlier editions to new populations of configurations: tapered ducts, plates with multiscale features, dendritic fins, duct and plate assemblies (packages) for heat transfer density and compactness, etc. 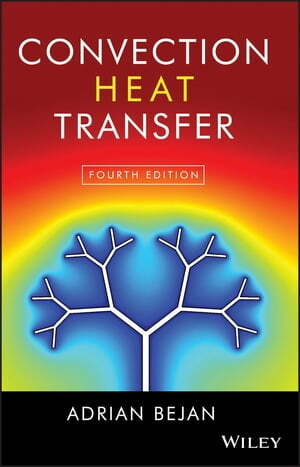 Complete with hundreds of informative and original illustrations, Convection Heat Transfer, Fourth Edition is the most comprehensive and approachable text for students in schools of mechanical engineering.